The Arborist Division is esponsible for reviewing and approving all building permits and tree removal plans. Think you've seen some awesome Dogwoods? Try this one out. Athens, Georgia is home to a monster Cornus. I first saw this specimen in 1996, when I was touring the Hospital grounds in preparation for some tree pruning. I remember thinking that it should be on some kind of "Big Tree List" or something, but I was too preoccupied (lazy) to do anything about it. 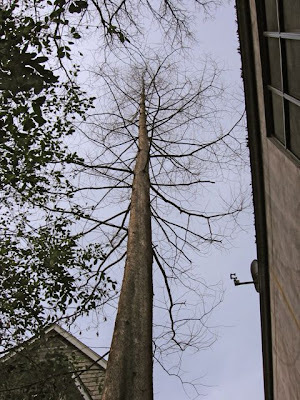 The Georgia Urban Forestry Council inducted the tree into its own Historic Tree Register this year. It is located directly beside Prince Avenue at Athens Regional Medical Center. It measures 24" inches in diameter at the base and it is in perfect condition. Next to the tree is a plaque noting its date of planting as 1951, by Charles L. Pope. The majority of the residents regard this tree as one of the largest Dogwood trees in the state of Georgia. Onebark Consulting Arborist has announced the pre-release of the Tree Care Handbook, Volume 1, first of a series of free technical manuals on the care of specific tree species. This particular release covers crucial instruction for the care of the Flowering dogwood Cornus florida. How is this handbook different from other related articles? The Tree Care Handbook series contains aggregate information from treatises, US government publications, and forestry texts; and most importantly, draws upon the profound knowledge of experienced professional tree care practitioners. Please come back and comment here after downloading the handbook. Feedback regarding the handbooks will be considered for future volume releases. 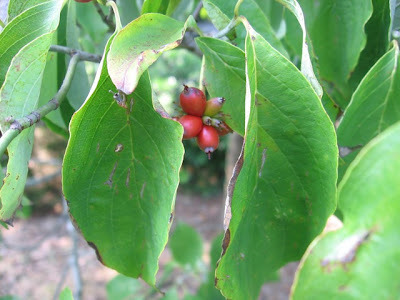 Download Tree Care Handbook Vol.1, Flowering Dogwood.